Our curtain pole holders have been cast from original patterns using traditional sand casting methods here in the UK. Each curtain pole holder is hand polished and finished with a decorative Regency style beehive finial. A pair of large solid brass curtain pole holders made in the UK. Each curtain pole holder is hand polished and traditionally unlacquered. 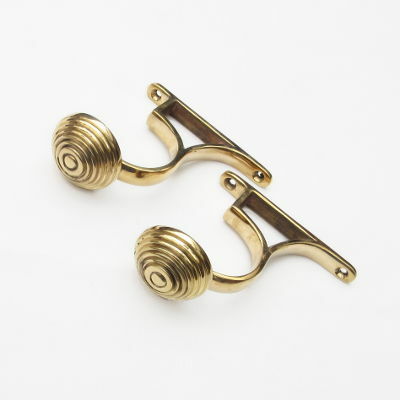 A pair of medium solid brass curtain pole holders made in the UK. Each curtain pole holder is hand polished and traditionally unlacquered. A pair of small solid brass curtain pole holders, hand polished and unlacquered. 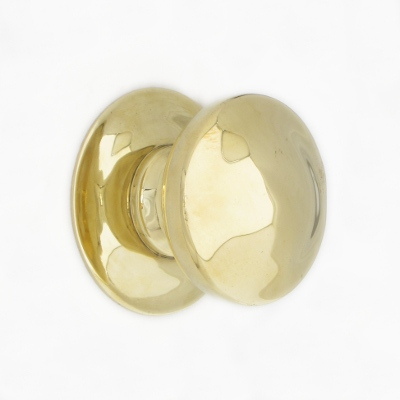 A pair of small solid brass curtain pole holders made in the UK. Each curtain pole holder is hand polished and traditionally unlacquered.